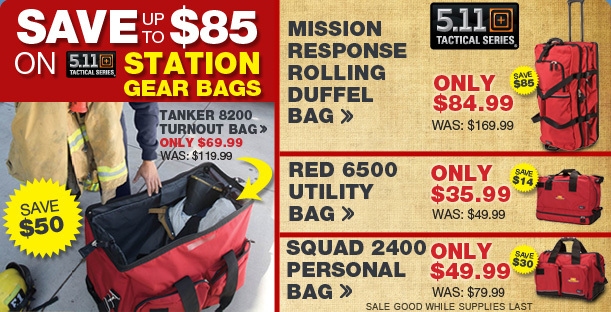 This week we put a slew of 5.11 bags on sale while supplies last. 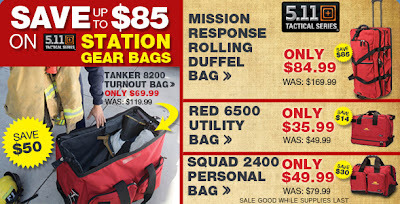 In that sale we are offering the Mission Response Rolling Duffel, the Red 6500 Utility Bag, the Tanker 8200 Turnout Bag, and the Squad 2400 Personal Bag. Four amazing bags, at amazing prices. These bags all serve different purposes, and some have ample room to store gear, supplies, clothing and other essentials. They are made of a durable nylon, have reinforced corners, robust handles, they're waterproof, and have convenient interior pockets. 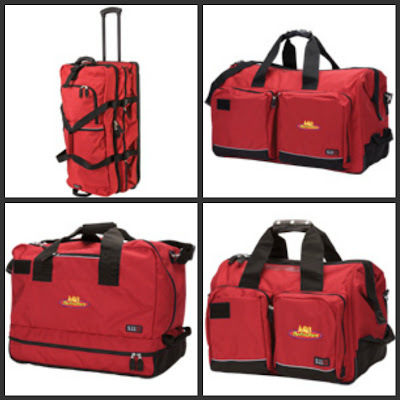 To see more details on these great bags, and pick which one would be best for you, click here.